Last year upscale retailer Nordstrom, Inc. (NYSE:JWN) was being praised as a bright spot in the otherwise gloomy retail sector. However, the department store chain was hit hard alongside the rest of the market at the end of 2018 and more bad news followed this week when the firm reported softer than expected holiday sales. Now, investors are starting to worry about Nordstrom stock come February when the company announces its fourth quarter results, and rightly so. JWN stock made its way nearly 5% lower on Wednesday after the firm’s holiday sales announcement was digested. The department store said overall same store sales were up 1.3% during the holiday quarter, but comparable sales for full-priced merchandise were up only 0.3%. The reason for this miss, Nordstrom said, was lower than expected store traffic. The softer sales and lower store traffic created an inventory problem for Nordstrom, leading the store to offer higher mark-downs during the holidays in order to clear some of those excess goods. That is likely to hurt the firm’s earnings in the fourth quarter, leading most to expect EPS of around $3.27 — the low end of management’s guidance. However, while Nordstrom’s flagship stores are struggling, the company’s off-price channels continued to gain momentum. Growth in that arm of the business came in at 3.9%. Digital sales were strong as well — they rose by 18% to make up 36% off Nordstrom’s overall sales. So, although Nordstrom’s full-price stores are struggling, it’s off-price and online sales are actually doing well. So there’s no reason to panic, right? Unfortunately, the figures that Nordstrom released this week suggest that the rest of Q4, and perhaps beyond, are likely to disappoint because of inventory issues. Nordstrom will have had to offer deeper discounts to clear excess inventory in it’s physical locations. The same is true of online sales; in order to get customers to its site Nordstrom has to offer discounts. The wider problem here is that in an effort to control inventory, JWN is chipping away at its pricing power. It’s safe to say that investors have adjusted their expectations on Nordstrom stock for the fourth quarter. So come the end of February there shouldn’t be much surprise when the JWN results come in at the low end of expectations. But where will the stock go from there? Is this a one time issue that has created a buying opportunity for Nordstrom stock? The answer to that question depends on your outlook for the U.S. economy — as well as the retail sector. But I’d hold off on jumping into JWN stock just yet. The fact is that U.S. department stores are struggling due to falling traffic. Margins are hurting as the stores try to shift toward online shopping, and inventory management is becoming a major problem. Nordstrom is not immune to these ongoing issues. In fact, I’d argue that JWN is actually more exposed than most. As Nordstrom caters to affluent customers, the company could be pressured by the wealth effect — the theory that people want to spend more when their perceived wealth is higher. Right now, wealthy people with stock portfolios have watched share prices shrink and are likely to be more frugal with their disposable income. That’s hurting Nordstrom and other luxury retailers who depend on that segment of the population to pay full-price. For now, volatility in the market is to be expected and that’s unlikely to help Nordstrom dig itself out of its inventory issues. Not only is the firm going to struggle to get its full-price sales back on track in the current climate, but JWN is also battling an ongoing shift away from department store shopping. There are simply too many headwinds to consider Nordstrom stock a buy right now, especially with poor Q4 results on the horizon. I’d take what’s going on at Nordstrom as a warning for the luxury retail sector as a whole and proceed with caution. 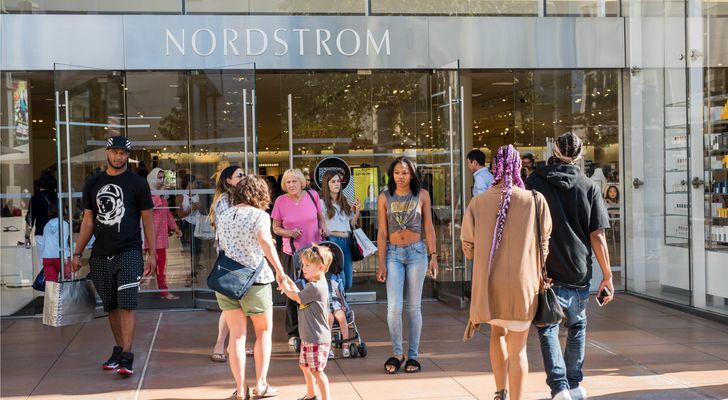 Article printed from InvestorPlace Media, https://investorplace.com/2019/01/holiday-sales-spell-disaster-for-nordstrom-stock/.